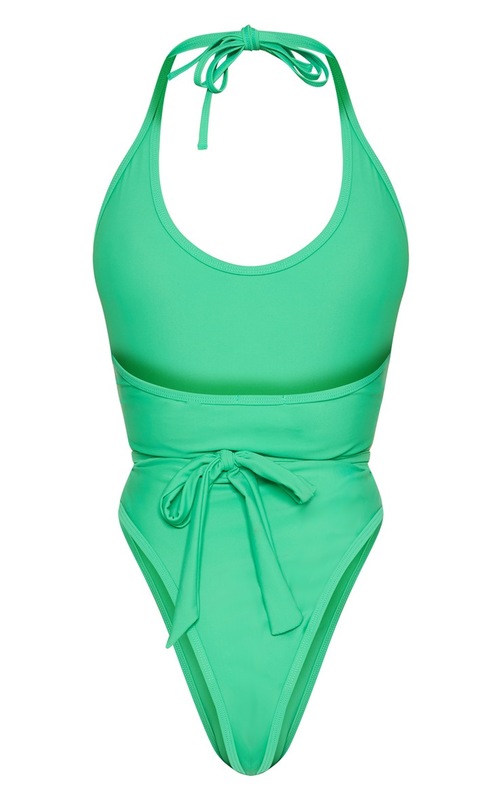 Steal all the stares at the poolside in this must-have swimsuit. Featuring a bright green material with a lion belt detail and a halterneck tie fastening. Team this swimsuit with some statement earrings and wedges for a look we are crushin' on.